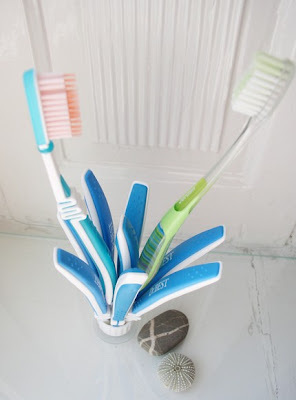 No, I'm not stuttering ;D These super-cool toothbrush holders by OhWunder are made from upcycled toothbrushes (well, the ends of them anyway). They look great and seem to be quite functional! Take a look at more creative things on OhWunder's Etsy Shop. 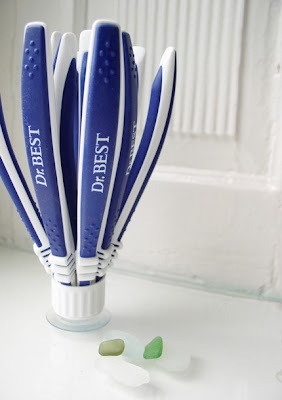 A toothbrush holder that's also made of toothbrushes. Wow! Now that's a new idea. This is the first time I've seen one. I will definitely be more serious when I'm brushing my teeth because I see more of them while I'm at it. Haha! This is pretty unique, and it is definitely eco-friendly. 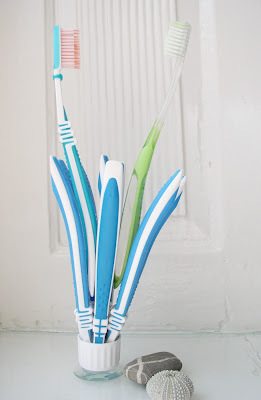 Kids would love the design, and that would motivate them to brush their teeth every day, even if only to see this. 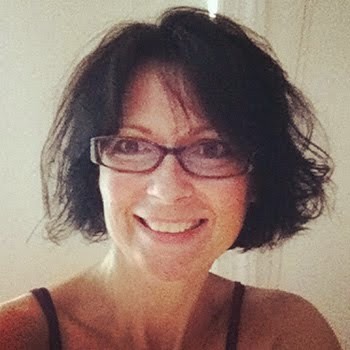 I'm Deb Soromenho - blogger, handmade enthusiast, jewelry designer, and wanna-be world traveler. I love to mesh those passions whenever possible. My Craving-Culture blog to read my travel adventures and to share yours! & Deb Soromenho Jewelry to see my world-culture inspired jewelry.